SCVHistory.com | Newhall and Acton Men Fight for Hydraulic Mining, 1892. Newhall and Acton Men Fight for Hydraulic Mining. In 1849, of course, mining was king, and it didn't take long for somebody to figure out that the most expedient — if not the least expensive — way to extract surface gold from its host rock was by blasting it with a jet of water. A Frenchman named Antoine Chabot is credited as the first to use a large hose in ground-sluicing in Nevada County in 1852, followed in 1853 by Edward E. Mattson of American Hill (near Nevada City) who attached a metal nozzle to a hose and pointed it at a pile of gold-bearing gravel. Soon, further innovations led to immense, gravity-fed systems that funneled water from the high Sierras and unleashed it under 5,000 pounds of pressure to carve huge craters into mountains. The yield was great; it's estimated that in the 30-year period starting in the mid-1850s, roughly $100 million, or one-third of all of the gold produced in California during that time, came from this so-called "hydraulic mining." The trouble was, the sand and rock that was being blasted away had to go somewhere. Where it went was into the waterways and bottom lands which could no longer be navigated or farmed, respectively. Streams that once teemed with trout were clogged with gravel; orchards and even towns were devastated by flooding; family farms were wiped out under layers of silt and sand — to the point that some former farmlands in the Sierras remain unusable today. The farmers fought back in court at the local, state and ultimately the federal level. Finally, on Jan. 7, 1884, the tide turned when U.S. 9th District Circuit Court Judge Lorenzo Sawyer issued a ruling in the matter of Edwards Woodruff v. North Bloomfield Mining Company: No one may discharge or dump any of the tailings, cobble stones, gravel, sand, debris or refuse matter into the Yuba River. The ruling had broader impact and is cited today as the death knell for hydraulic mining in California. The state court took the decision a step further in 1884: No person or corporation has the right to cover a neighbor's land with mining debris. The farmers had won, but the debate raged on for several years. The Miners' Association of California was determined to exert whatever influence it could. Hydraulic mining was a hot topic in Newhall in early 1892, as noted below, when many of the leading men of Newhall, Pico, Acton and Castaic (including Jenkins) — all miners or their business associates — selected a delegation to send to the state mining convention in San Francisco. They hoped to call on the federal government to foot the bill for dams and reservoirs to divert their mining debris away from rivers and farms. The upshot of the convention was a resolution on Jan. 28, 1892, calling for the "rehabilitation" of the hydraulic mining industry and an admonishment to members to abide by the court rulings in the meantime. But the train had left the station. In 1893, federal legislation matching Sawyer's ruling became law. The Caminetti Act (for Amador County Rep. Anthony Caminetti) provided that "hydraulic mining may be carried on within the state of California wherever and whenever the same can be carried on without material injury to the navigable streams, or lands adjacent thereto," and it authorized the U.S. Army Corps of Engineers to issue licenses if and when those conditions could be met. For the most part, they couldn't be. The federal government wasn't going to foot the bill; the miners would have to build their own dams and diversion channels. Game over. Nobody could afford it. A few hydraulic mines persisted into the 1960s, but the industry was dead. Agriculture had deposed mining as the king of California once and for all. Large and Enthusiastic Meeting at Newhall Yesterday Afternoon. Los Angeles Times | January 2, 1892. 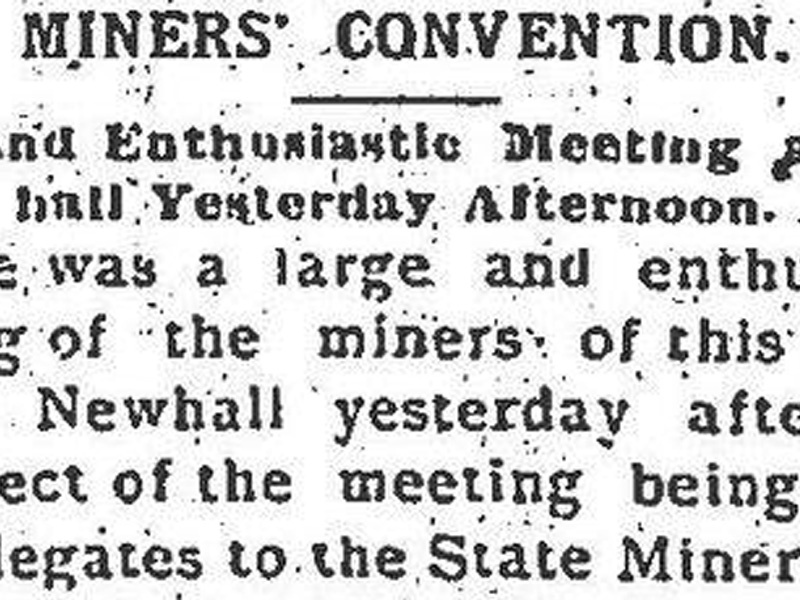 There was a large and enthusiastic meeting of the miners of this county held at Newhall yesterday afternoon the object of the meeting being to select delegates to the State Miners' Convention to be held in San Francisco on the 20th of this month. The purpose of the San Francisco convention will be to formulate a feasible plan by which the debris resulting from hydraulic mining may be taken care of and restrained without injury to the agricultural interests of the State. The United States Government will be asked through Congress to make appropriations for the purpose of building impounding dams and reservoirs to hold and restrain the debris of all of the available mining districts of the State. The following named gentlemen were elected to represent this county at the San Francisco convention: A.M. Melrose, James Robertson, Ed Brough, George Rehburg, L.H. Baker, R.E. Nickel, J.A. Towler, Charles Moore, W.A. Merralls, A. Smith, James Barritt, J.E. Withrow, W.N. Forker, W.W. Jenkins, J.F. Powell, George Compton [sic], William Leckler [sic], E.W. Fryer, B. Pico, V. Lopez, S.M. Gavin, Ed Pardee, J.R. Moore, Luke Kelley, H.C. Roberts, H.C. Wheeler, J.F. 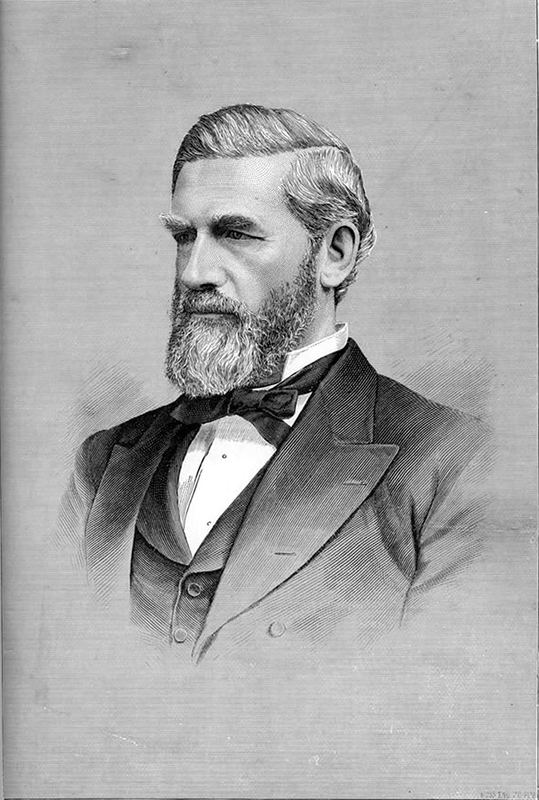 Conroy, James O'Reiley, W.H. Adams, Richard Kitchline. News story courtesy of Dr. Alan Pollack. An Address Issued by the Executive Body. Resolved, That all hydraulic miners in California who may have been at work contrary to the decrees of the court, if such there be, are hereby urgently requested by the California Miners' Association to desist at once from such operations and wait patiently until Congress is enabled to act upon the report of the Government Commission which was appointed to inquire into the debris question in California. 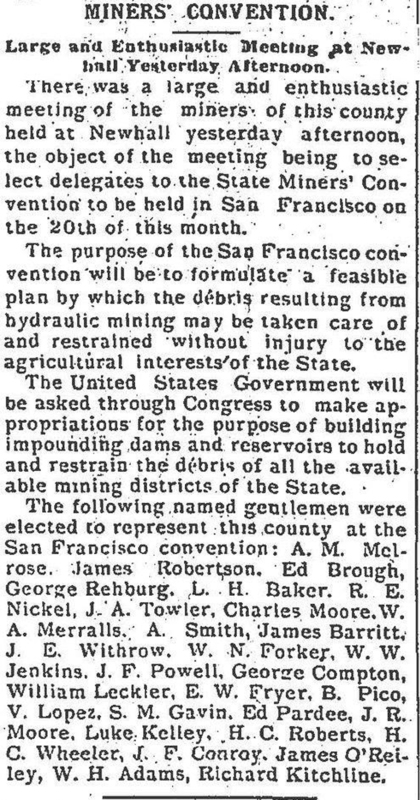 Resolved, That it is the desire of the California Miners' Association, as far as hydraulic mining is concerned, to use every effort toward rehabilitating that industry on a legal basis, but that these efforts will be badly hampered and the former contest be apt to be renewed if individual miners do not accept the policy of the association. Resolved, That it is the sense of the California Miners' Association that such persons as may start their monitors in the spring, at places where damage is likely to result to streams or adjacent lands, shall receive no aid or countenance in the future from this association. Resolved, That copies of the memorial and resolutions adopted by the State Miners' Convention be distributed throughout the mining regions of California, and that the miners be requested to read them carefully in order that they may fully understand the pledges of the convention and association; said miners are thereupon urgently requested to respect the opinions therein expressed, and to otherwise aid the association in rehabilitating the hydraulic mining industry in this state. Resolved, That all hydraulic miners be and they are hereby requested to obey the decrees of the courts and cease all hydraulic mining wherever the same is calculated to do injury to the navigable streams of valley lands, or wherever the debris shall be carried into the navigable streams. These resolutions will be printed in circular form and sent to the miners of those counties where hydraulic mining is conducted. The Finance Committee of the Association met yesterday and reported that the prospects for procuring the necessary funds are very bright, contributions ranging from $500 to $1,000 having been promised by prominent mining men and corporations.